You can trust in Siding & Windows Group for all your quality siding and replacement windows needs. 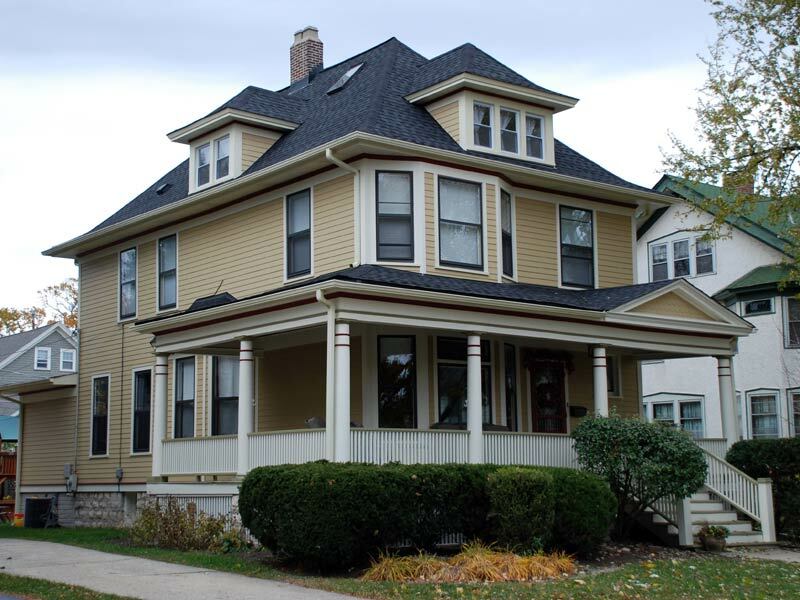 We are proud to be a proven siding contractor in the La Grange IL community and have installed siding and windows in many residential and commercial properties in the La Grange and surrounding Chicagoland area. We are committed to giving you excellent customer service with honest and straightforward answers, while working promptly with only the highest quality craftsmanship and products, such as James Hardie siding, the highest quality fiber cement products on the market. The photograph above is of a residence in La Grange IL that we worked on. We installed CertainTeed siding with James Hardie Trim. We also rebuilt their porch. Browse this siding project and others by Siding & Windows Group here. Siding – including James Hardie products, Vinyl, Metal and Wood siding materials. Gutters – including gutter guards. What makes us Siding & Windows Group the most sought after siding contractor in La Grange? For starters, we take pride in making sure that each and every siding and windows project is finished right and that your home is treated with the utmost respect and care. We want you to have the nicest looking home in La Grange, and for it to be a home that you are proud of and one that increases in value. We constantly look at the new siding and windows products and installation techniques to stay ahead of the other siding contractors in La Grange and make sure you can make the most informed decision for your remodeling needs. Call us at 847-251-4200 for a free La Grange siding estimate and one of our siding professionals will be happy to answer any questions you may have and help you get started on your exciting new siding or window replacement remodel. We don’t just want to be your siding contractor, but we want to go beyond that and help you find the best material and color for your needs and to match your home’s style. When it comes to installation, our quality control will make sure it’s installed perfectly and on budget! To find out more about Siding & Windows Group and what we can do for you, please contact us today to get a free, no-obligation estimate. We are fully accredited with the Better Business Bureau, have an outstanding reputation on GuildQuality and have many glowing reviews and testimonials from happy clients.